Posted April 12, 2016 | Category: Replay Video Capture, Video. Some movies are amazingly brilliant, and some are so amazingly bad that it’s a wonder how they were ever conceptualized. Today, we’d like to honor some of those horrible, yet somehow captivating, films available online. You can stream all of the terrible/awesome movies your heart can handle straight from your browser, then use Replay Video Capture to keep them forever. 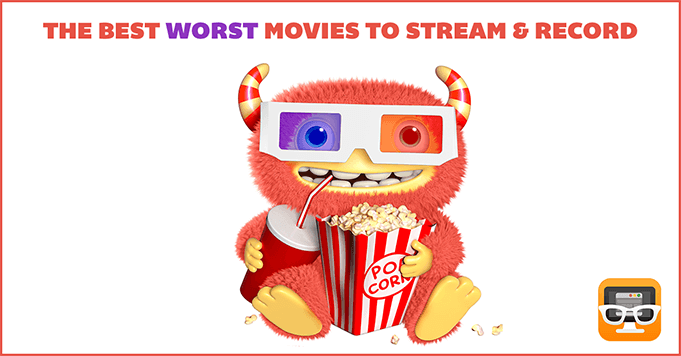 To get started, just fire up the software, start playing your top picks on Netflix, Hulu or Amazon Prime, and start recording. If you’ve ever wanted to see J. Lo pretend to be a “fatally gorgeous” gangster, please record and save this movie from Netflix. Ben Affleck (Gigli) also stars in this quintessentially awful/amazing movie from the early 2000’s, in which a kidnapping goes terribly awry. Sloppy, bizarre and yet somehow amazing. Somewhat creepy and terribly written, this flick is perfect for you horror lovers – if you want to laugh rather than being scared. The general plot line involves two American women on a vacation in the Mediterranean, where they stumble upon the lair of (you guessed it) a killer mermaid. This film is available to stream on Netflix, and definitely worth it for your next movie night. Nicolas Cage is reason enough to watch and save this Armageddon based masterpiece from Netflix. In Left Behind, a handful of survivors are “left behind” after millions vanish; the world is plunged into chaos. And then there was Nic Cage. Comedy meets terror in this dark flick on Netflix. A new drug, referred to as Soy Sauce, promises an out-of-body experience like no other. People are scrambling for it, but there are (obviously) consequences. We won’t give you any other spoilers — this movie is perfect for livening up a boring evening. This movie is actually pretty good if you’re into martial arts flicks, though still laughable compared to the original. Jason Scott Lee stars as a warlord hell-bent on stealing a sword from the good guys (and martial arts masters). Get a hold of this one on Netflix before your next kung fu binge! Get Replay Video Capture Today! What’s your guilty pleasure best-worst movie out there? Be sure to let us know on Facebook!